Hey newlyweds and our soon to be newlyweds! We’re back at it again with What’s in Our Cart, but this time honeymoon edition! Finally, after getting through all of the wedding planning it’s time to shop for that long anticipated honeymoon of yours. I’m sure you can already picture yourself now sitting next to your hubs, on the beach, with an ice cold Piña Colada in hand. Well…Before you drift too far into your honeymoon daydreams we need to tell you the must haves for your first vacay as a Mrs.
Honeymoon Getaway: Taj Exotica, Secret Island in Maldives! The honeymoon is definitely one of the main events newlyweds look forward too after their big day! I mean, who wouldn’t be? All of the built up stress and butterflies is finally relieved and you and your loved one are finally ready to relax and actually enjoy each other’s company. In the process of planning your own honeymoon? Check out this absolutely incredible destination spot! 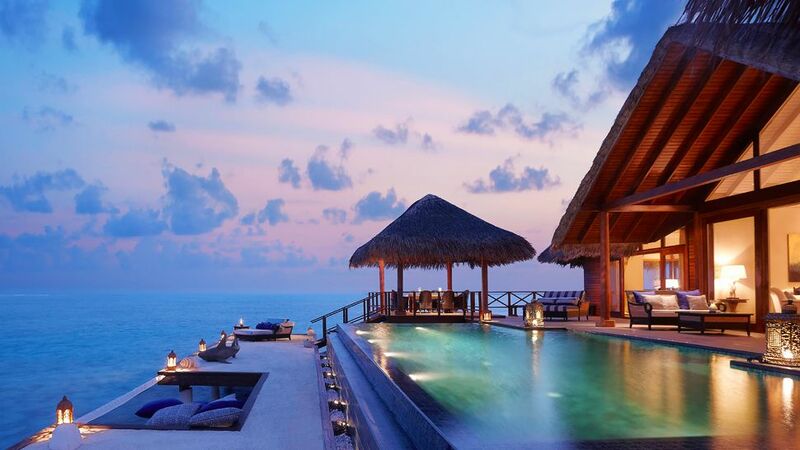 Welcome to the Taj Exotica Resort & Spa located on one of the many secret Maldives Islands. This breathtaking resort takes up the ENTIRE island that is surrounded by the sparkling blue waters of the Indian Ocean. Even better yet, each couple gets their own private villa. You are literally only a few steps away from the water as you wake up each morning! There are amazing dining options located poolside but even better yet, oceanfront too! Why not have a pool to relax in while being able to enjoy the ocean view as well? There are also exquisite fine dining restaurants throughout the island but even more exciting than all of this is the very private pavilion that stands smack dab in the middle of the ocean where you can enjoy a very romantic meal as husband and wife! https://btsevents.wpengine.com/wp-content/uploads/2017/12/BTS_Logo_Final-BLK-300x150.png 0 0 BTS Event Management https://btsevents.wpengine.com/wp-content/uploads/2017/12/BTS_Logo_Final-BLK-300x150.png BTS Event Management2015-06-16 04:00:482017-12-28 02:55:13Honeymoon Getaway: Taj Exotica, Secret Island in Maldives!